You already know by now that high email open rates are useless if click-through rates (CTRs) are low. 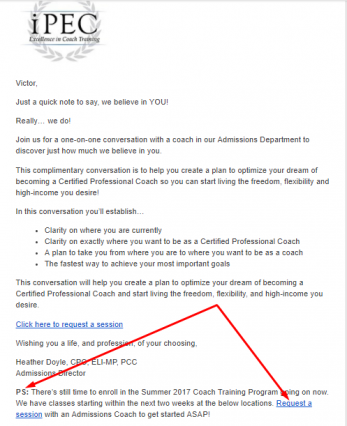 You need people to click the links in your email to end up on your website. 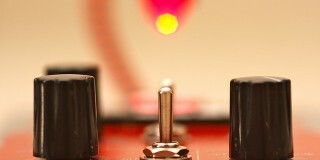 Click-through rates are a much better indicator of email engagement and success than only open rates for that reason. 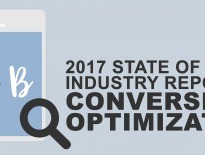 But the average email CTR is 4.19% — across all industries. Which means around 4 recipients click your links for every 100 opened emails. In each of your own emails, exactly how many links should you be using? To answer that question, Elizabeth Yin of Launch Bit once ran a test on 2 email types: 1- and 2-link emails. 1-link campaigns generated 131,914 clicks in total. 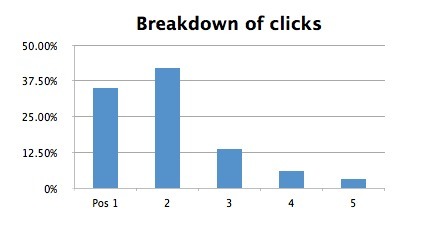 2-link emails did a total of 235,422 clicks — 72,003 clicks on link #1 and 163,419 clicks on link #2. And get this: most of the recipients of her 2-link emails clicked link #2. Most email recipients need more time to study your offer when they encounter your 1st link or CTA. They keep reading before deciding to click through your second link, therefore, you should try to increase the number of links you’re using if you’re still only using one. This, however, isn’t a one size fits all rule. Many marketers find that emails with more than two links get even higher clickthrough rates (CTRs). In fact, Yin’s research further reveals that newsletters with 5+ links produce higher CTRs than those with <5 links. “Less is more” works for website design and fewer pictures keep your emails out of the SPAM box, but it seems like “more is more” for links in email newsletters. A pre-header lets recipients know a little more about what’s inside your email. The best marketers make their pre-headers about the #1 benefit that clicking your link will provide. 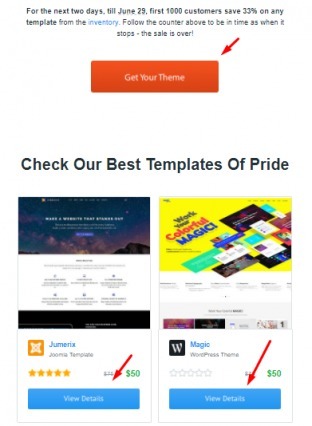 Since we all go around looking for ‘what’s in it for us’, this ‘#1 benefit’ will catch your subscriber’s attention — of course, after they see your eye-catching subject line — and will open your email with the intention of getting that ‘#1 benefit. If you tie this #1 benefit to your link(s), chances are pretty high subscribers will get clicking. 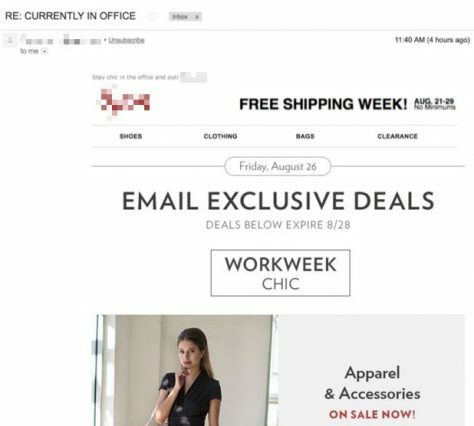 The email is targeted at agencies — companies who typically manage hundreds of clients per time. After fleshing out how most agencies struggle with managing 100s of clients, CoSchedule presented a link to their new resource that helps agencies to manage all their client work on one platform. 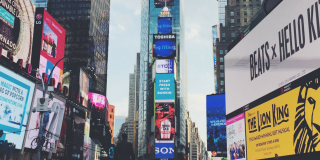 “…We’ve implemented preheaders on a number of campaigns and it’s raised open rates, click thrus and reduced spam complaints…,” says Elliot Ross, Managing Director of Action Rocket. But, what if your emails are sent to people who have no need for them? Whether your pre-headers are enticing or not, your CTRs will be low. Ever read an email and wondered why on earth the sender sent it to you? Did they buy my email from a publication I subscribed to? Is it even safe to click the links in this email? You never want your emails to be viewed negatively. This is where the conversion principle of relevance rings true and becomes super important. 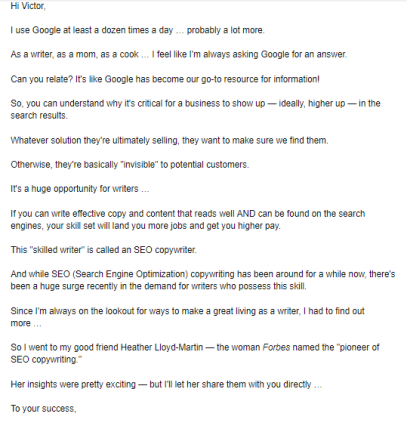 Copyhackers, for example, is a publication read by growth hackers and writers. But I can tell they’re segmenting their emails because they almost always send me resources that are relevant to writers. 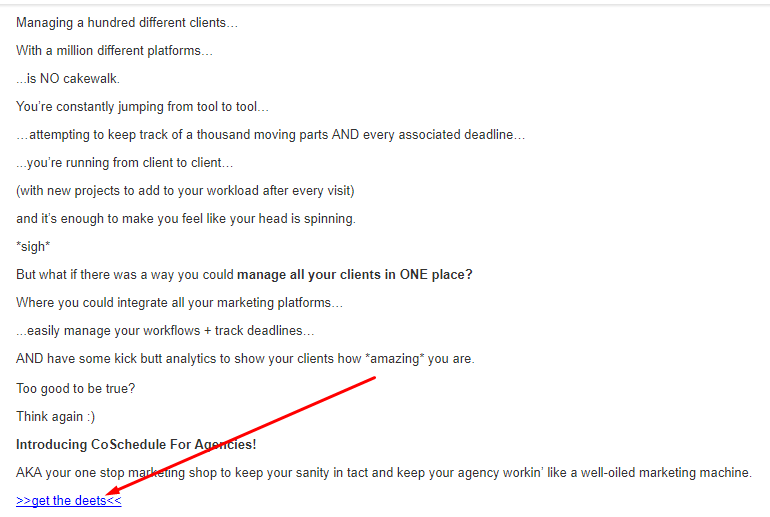 They know I’m a writer, and so when they send out growth hacking emails, segmentation ensures I don’t get those. 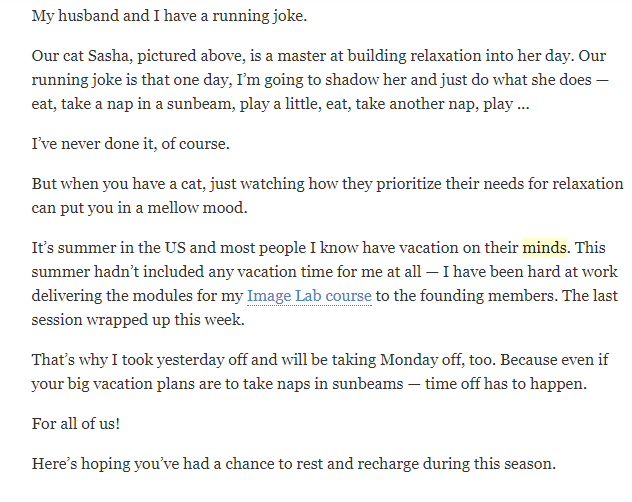 I only get their newsletters that are meant for writers like me. Writing that is not concise is too stressful to read. People won’t always wade through your email waffling long enough to read or click anything. They’re not always that patient. So you need to always keep your wording tidy. See how easy it is to read through this email? There aren’t extraneous words, the tenses match, the writer is aware of how to post a question to draw you in, and she doesn’t talk about herself for long before she gets to the point. When your writing flows, subscribers find it pleasant to spend time reading — which increases the likelihood that they’ll be clicking through links. As I’ve mentioned earlier, clickthrough rates tend to improve when you include at least two links in your email. But here’s something else you should know: your P.S. section can do a great job attracting clicks when you put your links there. Utilize the P.S. section as well to boost CTRs. Another great example comes from Expert Business Coach MaryEllen Tribby. 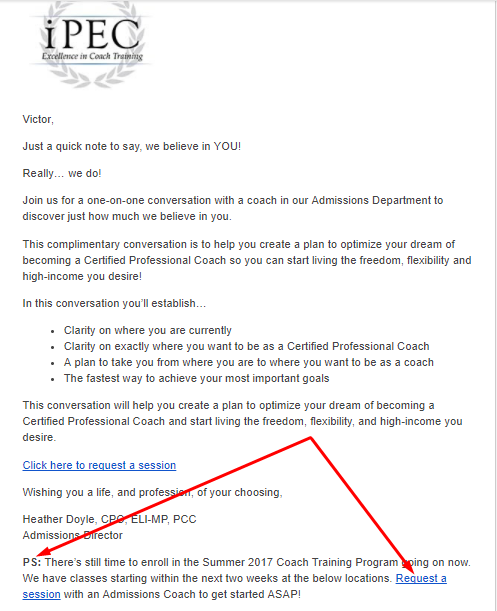 After explaining how she’s coached her students into enjoying a good life while making great incomes, she presented a link for subscribers to join these students. Links in P.S. sections attract clicks because it’s backed by a factor called the Serial Position Effect — a psychological trait that essentially states that the last element placed on a list draws the same amount of attention as the first element therein. So, an element (a link) in your P.S. section attracts a special level of attention. The writer puts Remember me? in the subject line, but in the email she admits we’d never met or even interacted before. She only used that ‘subject line trickery’ to entice me to open her email. Don’t play games with your subscribers. Your emails get opened for the value in your subject line. On the same note, if you’re the type of marketer who uses cheap trickery like RE: and FWD: to start your subject lines, stop right now. You’re a jerk, and you’re ruining marketing for everyone. You might get high open rates, but CTRs will be low if the reader feels tampered with. No one likes to be fooled. Make a promise in your headline and ensure your offer (click through URLs) delivers on that promise. This sounds like a no brainer, but I still get lots of newsletters with different topics per email these days. Multiple topics in one email newsletter divides your contacts’ attention and deters them from picking any of your links. A study reveals that people now generally lose concentration after about eight seconds. 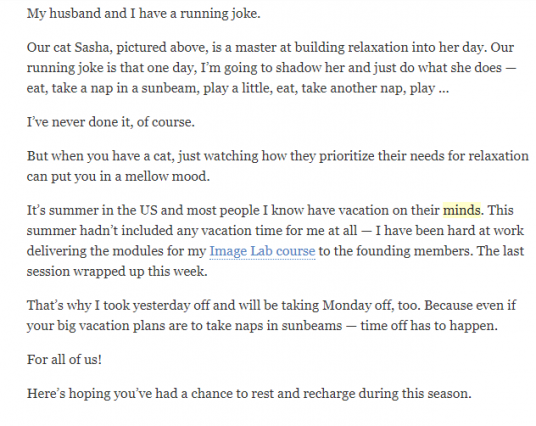 Don’t send your subscribers emails that tax their attention spans. One email. One topic. One focus. One result. 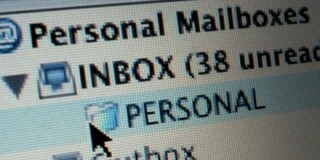 One study says an office worker gets an average of 121 emails per day. Irrespective of your writing quality, subscribers can’t spend much time with your email—they have a bazillion others to deal with. Want to get good at brevity? Delete every redundant word, expression, and anything that isn’t performing a specific function in your email. Learn to use active voice. Study writers you admire. It is short and to-the-point. No unnecessary pictures, links, etc. 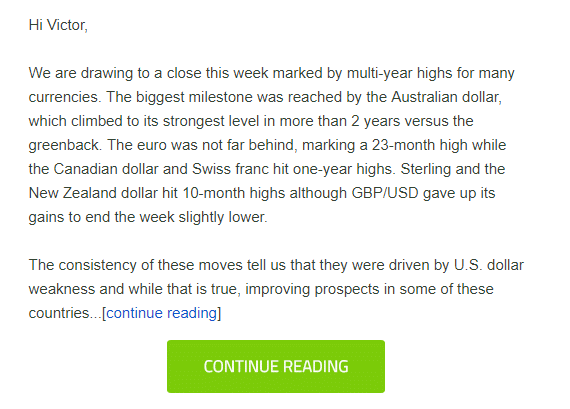 Just the message they wanted to pass across, with their CTA down there — visible and clear enough for readers to click. 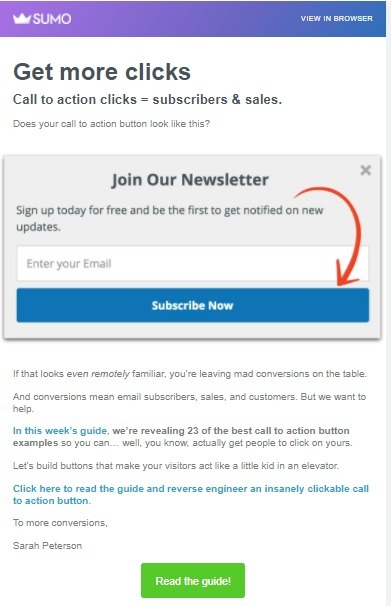 Don’t assume subscribers will understand where a CTA button (or image) will lead to when clicked. 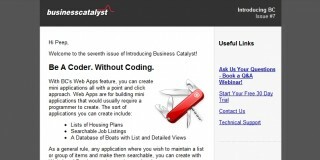 How can you improve your CTAs? Always use an active voice on your CTA buttons and clearly state what it will do. “You know you want it” doesn’t work as well as “Get Your Book Here”. The CTAs have phrases that tend to evoke actions. That’s what works. After subscribers click through your links and eventually convert, send them to a special thank you page where you ask them to do something more to impact your bottom line. In this way, they take more actions that will impact your bottom line. 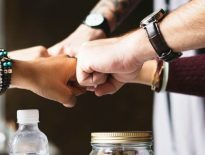 I recently shared a piece about 9 ways to use thank you pages to drive more conversions (with examples); feel free to check the piece out. Click-through rates are arguably the highest indicators of email engagement levels. A high click-through rate (which varies per industry) indicates subscribers are highly engaged. A low click-through rate means you have some serious work to do. Test out the strategies above and strive for continuous improvement. It won’t come overnight, but if you continue to experiment, you’ll improve your engagement and results. 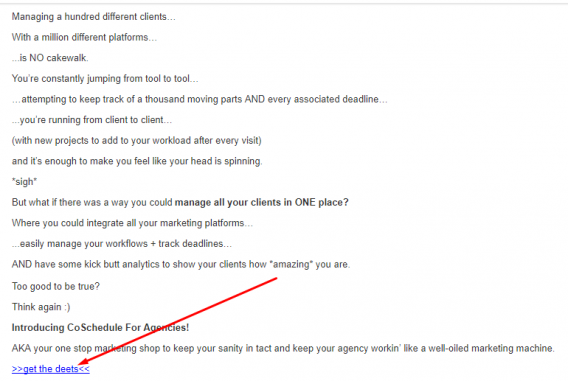 Victor Ijidola is a content marketer and freelance writer (for hire). 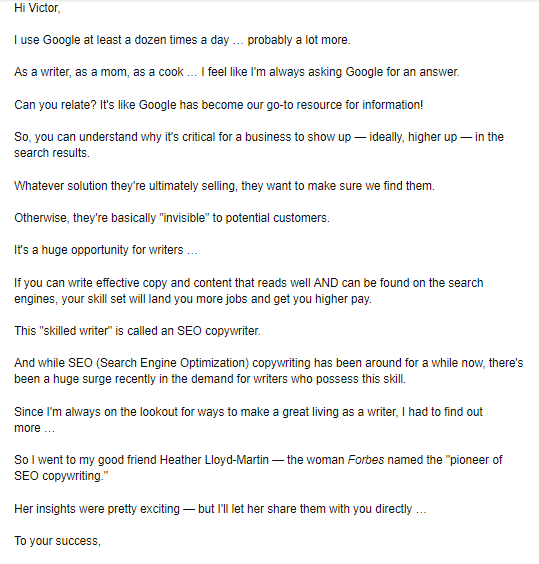 He runs Premium Content Shop where he offers premium writing services that drive conversions. He’s also been featured on sites like Inc.com, The Next Web, Kissmetrics and many more.